I’ve recently made a more of a concerted effort to be more positive and intentional in my parenting. Anyhow, despite my many reasons and excuses for feeling tired, there is no excuse for me ever being short and less patient with my kids. A reason/ explanation for a shorter fuse? sure; but an excuse or justification? No. I’m ashamed to say that these last few months my fuse has been shorter than normal, and my kids have seemed harder work too. Apparently I was a very strong willed, stubborn child, and it seems my eldest, Noah has inherited a few of these traits from me. While there are positive aspects of these traits that can be harnessed, it had felt like many days he and I were butting heads. One day, while in the shower I had an epiphany. I had just said to Noah “Just because Isabelle pushes you, doesn’t mean you have to react the same way.” I thought, why then when Noah (or Isabelle) behaves badly do I feel justified reacting in a less that ideal way back (raising my voice etc)? After all I am the adult here aren’t I? What kind of behaviour am I modelling? Another telling sign was that I heard both my kids using the phrases “for goodness sake” and “that is ridiculous” – Noah when talking to Isabelle, and Isabelle when telling her dolls off. Cute? Maybe just a little, but convicting? Most definitely. Anyway, without waffling on too much more, the short story is that I’ve been really trying to make some changes. I’ve been focusing on spending more time playing with my kids and getting my priorities straight. Sometimes life just seems to become one big nappychangemealtimebreakupfightsovertoysbathtimebedtime routine that I find myself just forgetting to play and simply spend time with them. They really love it when I do. I’ve tried to be more encouraging and focus and reward the good behaviour, rather than just react to the bad. 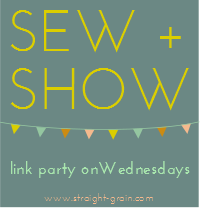 Also when I read my tagline up there in my blog header I feel a little guilty, “sewing stuff, growing kids” – sometimes my focus seems to be more on the former rather than the latter. I have had thoughts of “Gosh these kids are getting in the way of my sewing!” – I mean what is the reason I stay at home in the first place? These is nothing wrong with me sewing and blogging, I do these things to relax – but they should not be at the expense to my kids. I’ve trying to use the TV less too, I find it useful at times so I can have a break, entertain the kids while I cook dinner etc, but Diego and Dora should not be getting to spend the best part of the day with my kids, I should. I was exhausted on Sunday because I’d been up with Isabelle who had vomited all the through the night. The next day Andrew went off to church but the kids and I stayed home to recuperate and in case in was contagious. Instead of parking them in front of the TV, I sat in their playroom hand-sewing away on my hexagon quilt while the kids played around me and dished me cups of imaginary tea. And the changes in my kids since I’ve taken more effort in this intentional approach? Like a breath of fresh air! Noah, especially is responding better to me and listening and obeying me more. Now just to keep it up, because unlike my sewing projects and my experience being out in the workforce; this parenting business does not seem to have such neatly defined deadlines and end points – it seems to be just one big work in progress! Good on you Jen. I love this honest post. I'm in the stage where you were - BEFORE making the positive changes. Thanks for the encouragement. thanks so much for your precious honesty Jenny... such an encouragement. You are a wonderful mama and its a joy to watch your children grow. You are an amazing Mum Jenny. It is so great that you want to be the best Mum you can be. But also remember that you are only human and we all have off days. Its very normal to be feeling so tired at this stage of your pregnancy. And I reckon it's okay for our children to see that we get tired and a bit cranky sometimes, just like them! 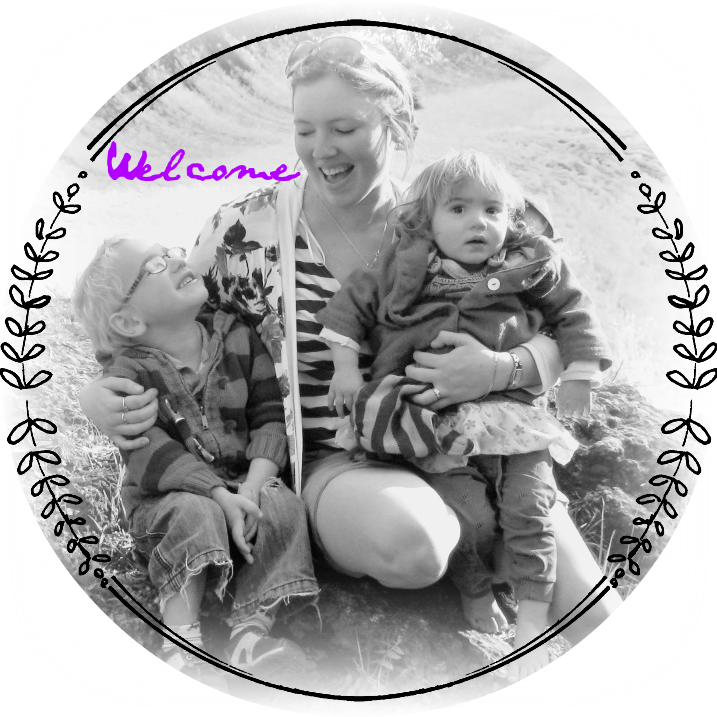 The most important thing is that you love your children to bits and this glows out of your blogs and let yourself off the hook if you have a less than perfect mummy day! I completely understand what you are talking about! I am recuperating from a burn out. My fuse was extremely short and the kids turned the house upside down... Long story short, I called in sick at work and stayed home for a month. I can finally say I am enjoying my kids again. I've got more energy, the fuse is a lot longer and the kids are responding positively to my more positive approach!